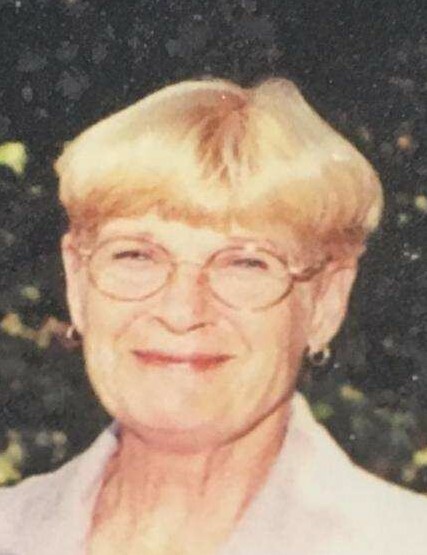 Lavona Mae "Bonnie" Moran, 81 of Aledo, IL died Friday, September 7, 2018 at OSF St. Francis in Peoria. Cremation has been accorded. Memorial services are 7:00 PM Monday September 10, 2018 at the Fippinger Funeral Home in Aledo. Private burial will be at a later date. Friends may greet the family from 5:30 PM until time of services Monday at Fippingers where memorials may be left to St. Jude Children's Research Hospital. Online condolences may be left at www.fippingerfuneralhome.com. Bonnie was born September 25, 1936 in Monmouth, IL to Preston and Leatha Downer Smith. She graduated from Joy High School in 1954. Bonnie was united in marriage to Harry K. Moran on March 3, 1956 in Aledo, IL. She was employed as a nurse's aide at the former Mercer County Hospital in Aledo. Bonnie was employed at the Sears catalog store in Aledo until it closed and was then employed by Ben Franklin until she retired. Bonnie was a longtime member of the Oakview Country Club and played in the ladies' league for many years. She was on the bowling team "Charlie's Angels" and enjoyed playing cards. Survivors include her husband of 62 years, Harry, one daughter: Lavona Moran of Woodland Hills, CA; Phillip (Jeanne) Moran of Aledo, IL; 3 grandsons: Bradley Moran of Rock Island, IL; Thomas Moran of Worton, Maryland; Robert Moran of Aledo, IL; several nieces and nephews. She was preceded in death by her parents and one brother: Edward.